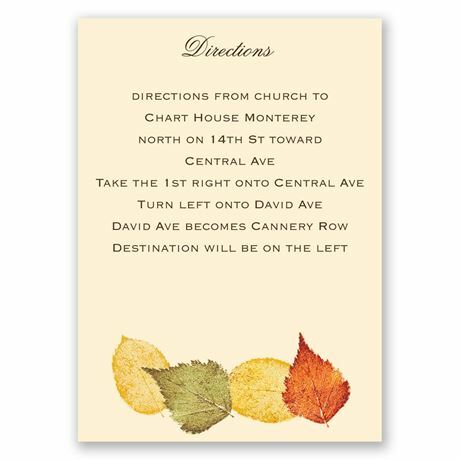 Falling autumn leaves add accents of color to this double-sided, ecru direction card featuring your map on one side and your directions on the other. You can design your map as hand drawn artwork or upload an image from your preferred map search engine. Map will print in full color. Your wording is printed in your choice of colors and lettering styles.